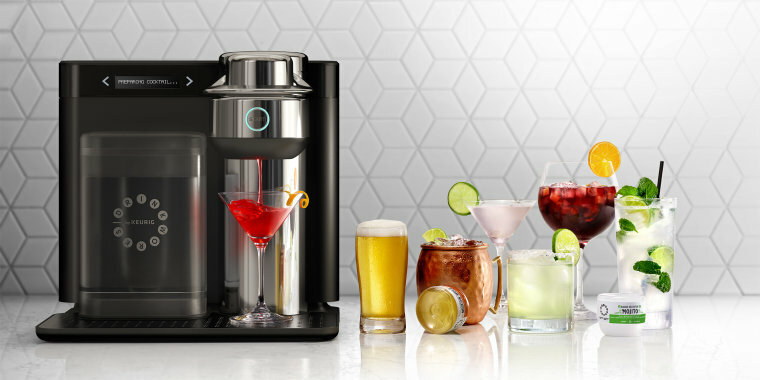 The Keurig Drinkworks Home Bar lets you make cocktails and mixed drinks from pods. In November, Keurig and Anheuser-Busch announced the launch of a new product that aims to make hosting parties just a bit easier for those who aren't professional bartenders. The Drinkworks Home Bar takes the idea of Keurig's successful coffee pod machine and applies it the craft of making cocktails. The new product is very similar to a Keurig, except instead of a warm cup of coffee, users get a refreshing mixed, alcoholic drink. The machine and beverage pods initially launched in St. Louis, Missouri, last fall but soon they'll be available across Missouri, Florida and California. It's also available to pre-order online through Drinkworks’ website for $299, but the regular price is $399. It's pretty high tech, offering an iOS app that can control the appliance and assist in pod refill orders. Each individual cocktail pod is $4 — cheaper than most drinks at a bar but not exactly cheap. The launch included 15 different cocktail flavors including a Moscow mule, margarita, mojito, and Long Island iced tea. The drinks can be made in three different sizes as well: 3.9 ounces, 6.5 ounces and 8.1 ounces. We love Keurig machines because they're so quick and easy to use. Not only do a few of our editors have their coffee makers in their homes, but we also use the K-select machine in our office — which lets us make strong brew or regular coffee. With the holiday season fast approaching, a Keurig K-select would be a great gift for any coffee lover. Plus, it's on sale right now. The Keurig K-select also makes hot chocolate, tea, lattes, and more. Check the coupon box for the additional $7 off the listed price ($124). Truly, what more could you need? 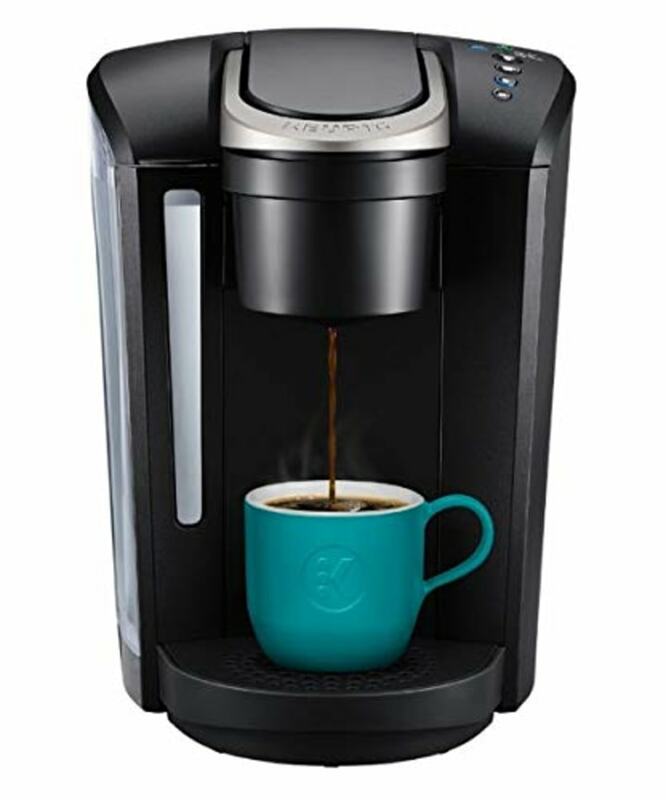 This story was originally published Nov. 14, 2018 and has been updated to reflect new information about the Keurig Drinkworks Home Bar.